The International Criminal Court dismisses its chief prosecutor’s bid to open a probe of possible war crimes in Afghanistan. The song Old Town Road sparks a heated debate about musical genres and whether they even matter anymore. Reporter’s road trip shows just what it means to be a Conservative voter in one of Canada’s most conservative ridings. 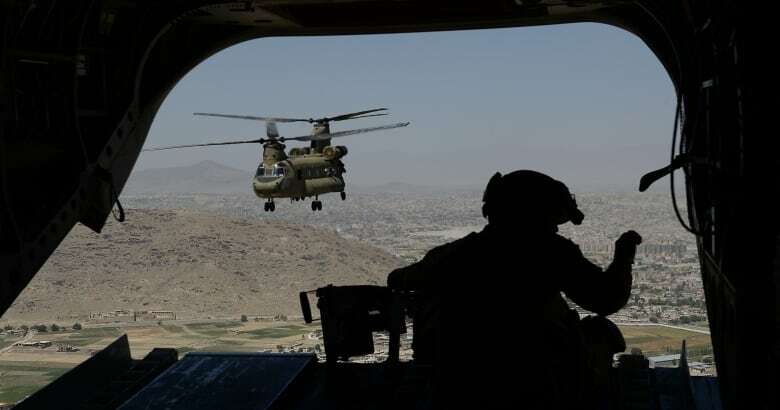 The International Criminal Court has dismissed its chief prosecutor’s bid to open a probe of possible war crimes in Afghanistan, in the face of pressure and threats from the Trump administration. The current political situation in Afghanistan makes the prospects for a successful investigation and prosecution “extremely limited,” the judges say, citing an ongoing lack of cooperation and the need to devote resources to cases with better chances of success. The decision comes one week after the U.S. government revoked the entry visa it had issued to the ICC’s chief prosecutor Fatou Bensouda, a citizen of Gambia. Mike Pompeo, Trump’s secretary of state, also warned of additional measures including economic sanctions if the court didn’t back down on its Afghanistan probe. 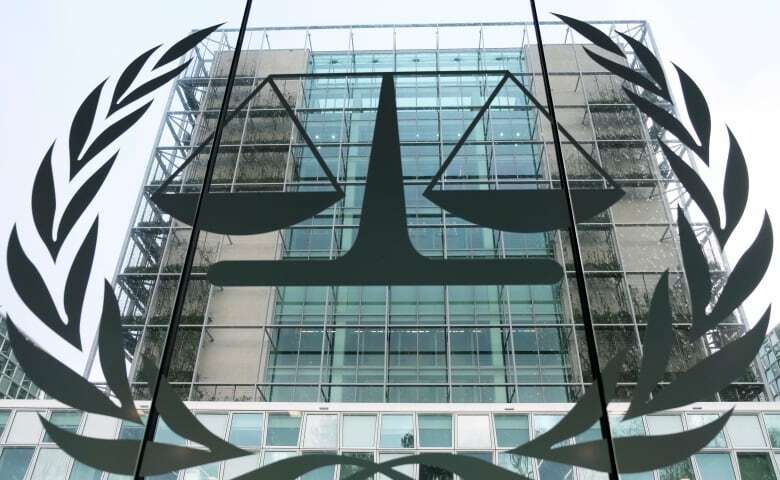 The ICC was established as a permanent court of last resort by the United Nations in 2002, charged with prosecuting genocide, war crimes and crimes against humanity when nation states are unable, or refuse, to do so. Its treaty has been ratified by 123 countries so far, including Canada. But powers like Russia, China, Israel, India and Saudi Arabia have refused to sign on, expressing fears that the body would infringe upon their sovereignty. The Americans have been its fiercest opponents, however. When it was created, the U.S. Congress passed legislation that forbids any cooperation with or support for the tribunal, and authorized then President George W. Bush to “use all means necessary” to free any American citizen detained by the court. The Obama administration took a softer approach, helping the court put its hands on some African war crimes suspects. But the current president and his top advisors are vehemently opposed to the court. “The ICC is already dead to us,” National Security Adviser John Bolton proclaimed in a speech last fall, calling the body “illegitimate,” and threatening to ban its judges from the country. Evidence of U.S. military misdeeds in Afghanistan and Iraq was first put into the public sphere via WikiLeaks in 2010. The ICC’s preliminary examination in 2016 concluded that there were reasonable grounds to believe that Taliban, Afghan forces and the Americans have all committed crimes since the conflict began in 2002, singling out incidents of torture by the CIA and U.S. army interrogators. Today’s decision to back away from the investigation is being greeted as an exoneration by the White House. “This is a major international victory, not only for these patriots, but for the rule of law. We welcome this decision and reiterate our position that the United States holds American citizens to the highest legal and ethical standards,” reads an official statement from the president. But whatever the ICC’s motivation, its choice to move on to other cases throws the tribunal’s very future into question. Since its inception, most of its investigations and all of its trials have involved African nations, which has led the African Union to call for a mass withdrawal of its member states. Right now, there are only two active cases being prosecuted — one involving alleged atrocities against peacekeepers in Darfur, and the other probing reported crimes against humanity by the Lord’s Resistance Army in Uganda. Sudan’s ousted president Omar al-Bashir has been under ICC investigation for his government’s actions in Darfur since 2005, with warrants issued for his arrest in 2009 and 2010, but it seems he is no closer to facing justice. Today, the generals who removed him from power confirmed that they are unwilling to extradite him. The next big test for the ICC will likely be its ongoing investigation into alleged crimes committed by members of the U.K. military during their occupation of Iraq. The case was initially dismissed in 2006, but reopened after new information surfaced in 2014. 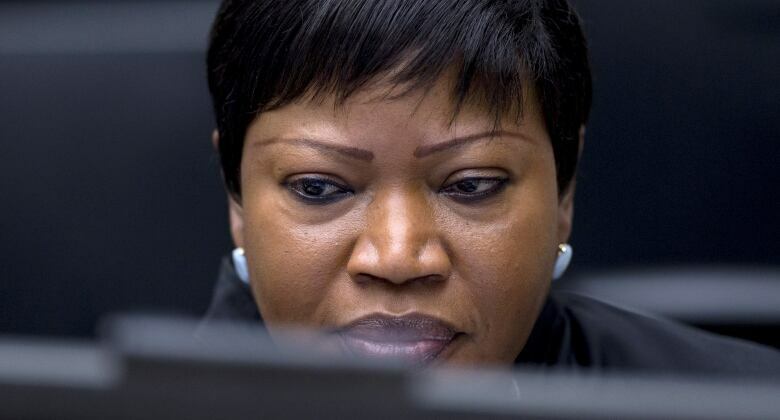 In December 2017,the ICC’s Bensouda dismissed allegations of battlefield atrocities, but declared that there was a “reasonable basis” to believe that British soldiers committed war crimes against detainees. The U.K. is a member of the court and has cooperated, but that doesn’t mean the government of Theresa May is happy about the situation. During the ICC’s annual meeting this winter, Britain’s representative Andrew Murdoch delivered a pointed message, noting that the U.K. is one of the biggest contributors to the court’s operating budget and trust funds. The U.K. has investigated the allegations of its own accord, he said, and has meted out punishments as it has seen fit. The song Old Town Road has sparked a heated debate about musical genres and whether they even matter anymore, producer Tarannum Kamlani writes. It’s hard to know what to love most about Old Town Road, that song born of the internet and the imagination of a teenage college dropout. It bubbled around the internet for months, its creator Lil Nas X showing a perfect understanding of how to both tap into and reflect a musical sensibility that’s so in sync with our time. Old Town Road samples a Nine Inch Nails instrumental and combines a trap beat bought for $30 online with lyrics that sound “country” to a lot of people. But to many Nashville critics, the notion of this Atlanta-born outsider taking up space on Billboard’s country charts was simply outrageous. From this point of view, to include it on a country music chart is to give in to a bigoted stereotype about the genre. To others, though, Billboard’s decision to yank it from the country music charts smacked of the kind of bigotry and racism that country music and its gatekeepers have long been accused of, igniting a conversation about what is and is not country music. 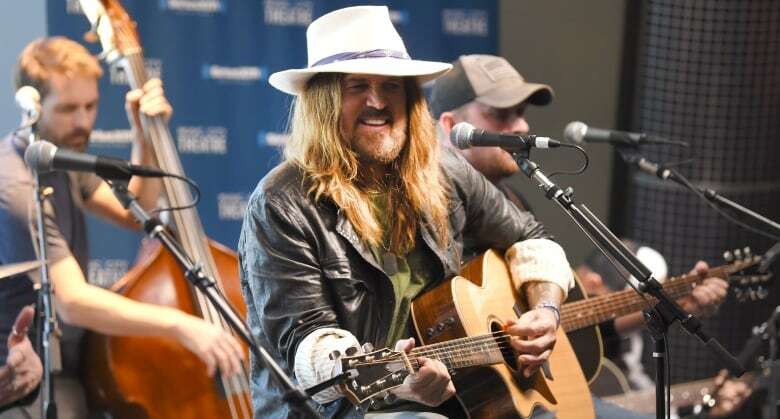 And then none other than Billy Ray Cyrus, he of 1992’s Achy Breaky Heart and father of Miley, got involved. He added his own verse to a remix of Old Town Road, helping propel the song to a mainstream audience. 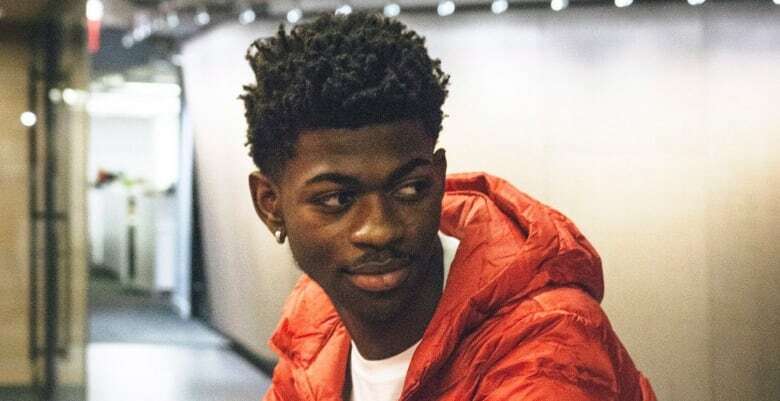 On Tuesday, Lil Nas X turned 20 and got a birthday gift he could only have dreamed of. The song shot to No. 1 on the biggest chart of them all, the Hot 100. So is Old Town Road really a country song? What defines country music — or any genre recognized by people born before 1999? Does genre even matter anymore? Our Pop Panel is back to break it all down. Joining Andrew Chang in The National’s studio tonight are country music lovers Sarah Boesveld of Chatelaine, Elamin Abdelmahmoud of Buzzfeed, and non-country fan Donnovan Bennett from Sportsnet. Hope you’ll join us! Reporter Erin Collins went on a road trip to discover just what it means to be a Conservative voter in one of Canada’s most conservative ridings. Alberta’s election is just days away, and if the polls are to be believed, the United Conservative Party is set to sweep into power — fuelled in part by a stubbornly stagnant economy. After four years of NDP rule, it would be a return to the province’s conservative roots. It could also signal a trend of sorts, as conservative parties have recently won elections in Ontario, Quebec and New Brunswick. Add to that, recent polls show the Federal Conservatives with a lead over the Liberals. A Conservative resurgence could be under way, and with that in mind I hit the road to take the political temperature in Drumheller/Stettler, one of Canada’s most conservative ridings. It’s a place where about 80 per cent of people vote conservative, and the top two candidates in the upcoming provincial election are just different flavours of conservative. First stop: Rowley, Alta. — population eight. Time has pretty much stood still here, and change is resisted more than embraced. According to Mckee, public enemy No. 1 these days is carbon taxes and the governments that are behind them. But politics isn’t fuelled by beer around here. In a riding as big as Belgium … there is just too much driving for that. So in places like Veteran, Consort, Stettler and Sedalia, it’s coffee that stirs the pot of political debate. Tune in to The National Sunday night to join me on a caffeine-drenched road trip through what just might be Canada’s most conservative riding. Hopes for real change in Sudan. – Club emcee Andrew Bird, on the untimely death of veteran comedian Ian Cognito, who keeled over on stage during a show yesterday. Even with Knowlton Nash doing his best to disguise his voice, it only takes the Front Page Challenge panel a minute to sniff out the story in question — the U.S. Marines invading the Dominican Republic to quash a civil war. The CBC’s then Washington correspondent talks about what it’s like to cover a shooting war in close quarters. Whatever became of him?